This book is a must-have for any black student planning to enter the workplace, or for any leader who values and plans to develop an employee team that is affirming and inclusive of black people and perspectives. The other day I was explaining to a co-worker that in addition to providing general parental guidance, that parents of black children often provide supplemental lessons and guidance about being black in a society that hasn't been always affirming or inclusive of black people. He was shocked, and thought it was an unfair burden on black families to have to teach their kids how to navigate ethnicity and bias in our society. I replied that it's called survival, and that it comes with the package of being black in the U.S.
Any advice you received or would share with young black professionals or students about to enter the workplace @ navigating the issue of inclusion and cultural identity? 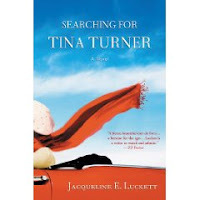 I just starting reading this new novel, Searching For Tina Turner, by Jacqueline E. Luckett and I can see why it is already getting a lot of buzz among book/writer circles. It's soooooo good. The novel follows the character, Lena Spencer, who after 25 years of being a wife and mother faces an ultimatum around those aspects of her life. Choosing to live for herself... again, Lena sets out on her own to see if the second half of her life can mirror the same renewal as Tina Turner experienced in her life post-Ike. I enjoyed learning about the author through her website and blog. There's also her Facebook fan page. Most cool... we're both alums (but different years) of the VONA Writers of Color Program, held at University of San Francisco each year. If you're an aspiring writer, you may find VONA very affirming to your creative process. I did. Anyway, Searching For Tina Turner is a good read for anyone starting the new year with new ideas on how life is or can be for them. Also, it could be a good read if you're trying to gain insight into issues your parents may have faced, or are currently facing, in their relationship or marriage. Are you a writer AND a foodie living in Los Angeles? Here are some delicious classes going on at Writing Pad, a gourmet writing school in the Silver Lake neighborhood in L.A. Both have excellent instructors and include delicious tasting plates. No more “Me Tarzan, You Jane.” It’s time for the battle of the sexes, Writing Pad style. Through playful, in-class writing exercises and a mini-craft lecture, you’ll learn how to create three-dimensional male and female characters and relationships that go beyond stereotypes. 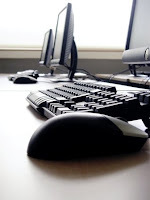 We’ll help you write convincingly from the opposite gender. You won’t need whiskey and bullfights to unleash your literary machismo or a lavender scented facial to understand the feminine mystique! By the end of the class, you’ll have written a short piece that successfully channels both the Ernest Hemingway and Jane Austen inside of you. Ever thought your quirky co-workers or soapy love life could make a great TV show? They can be! With brand new writing exercises, we’ll help you mine your life for the kinds of characters and stories that networks, producers, and audiences find irresistible. Whether you want to create the next Mad Men or Modern Family, we'll help you brainstorm an exciting premise, and you’ll learn what producers and execs look for in sell-able pilots and series. By the time you leave, you'll have drafted a one-sheet to pitch your next sitcom, drama, or reality show. Note: You do not need to take Delectable Dramas and Scrumptious Sitcoms Pt I to participate in this class. Includes new writing exercises and mini-lecture. For registration information for any of the Writing Pad workshops, visit the website or call (323) 333-2954. Applications for the VONA, Voices of Our Nations, writers of color workshop are now available on the VONA website. Taking place every summer (late June, early July) in San Francisco at the University of San Francisco, VONA prides itself on creating a safe and nurturing space for writers of color to work on works in progress. This year features great faculty leading the workshops... too many to name, just check out the website. I'm especially excited about the new workshops being offered for alums of VONA. Having participated in the program in summer 2004, I can tell you it's well worth the time and money. When it's down to two, finding out who's gonna win Miss America is a heart-cluthing moment... and readers like those moments in fiction too. Found this fiction-writing tip on Writer's Digest site today, Heart-Cluthing Moments. 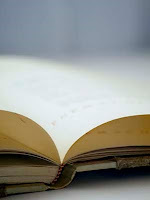 Tips on making your fiction a page turner for readers. I'm currently reading In Firm Pursuit by Pamela Samuels Young, the second of her four novels. One of the things I love about her novels is that each chapter ends with a heart-clutching moment or a zinger, so even if you told yourself you're done reading at X o'clock, you just can't. I've been hearing good things about The List, a novel by Sherri Lewis, so I think I'm going to check it out. It's a romantic comedy about a group of women in their 30s, who decide that THIS is going to be their year to find a man/husband. So they all devise their lists -- ideal qualities, deal breakers, etc... -- and the journey begins. Liza Palmer did a book talk over at the Cal State L.A. Student Union today. She talked about how before publishing she didn't have money to take writing or publishing classes. So in order to learn what she needed, she attended author readings at bookstores and treated those as her learning lab so to speak. I like that idea, and I know that everytime I attend an author talk I learn something new that adds to my writing and publishing arsenal. So I'd encourage you to do the same. Take a look at the events page for your local bookstore and see what author events are coming up... and attend... even if you don't know the author or his/her work. They're free and you might meet some new folks who can add to your circle of supporters. By the way, Liza Palmer has a great "For Writers" section on her website. It's chock full of quick and free lessons for writers. A couple other sites I've discovered that have been assets to my writing or book-loving: Novel Spaces and Authors In Color. Take it easy. Write on! 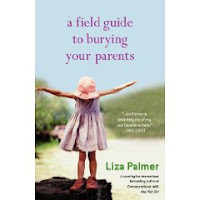 Liza Palmer is a good friend whose third novel, A Field Guide To Burying Your Parents, has just been released. It's getting good buzz and good reviews. The novel follows the character Grace Hawkes, who reluctantly returns home due to her father's sudden illness. During that visit, Grace navigates what's true and isn't true in her family's dynamics, including re-initiating relationships with siblings and treading lightly with her father's wife. Liza Palmer's writing is great and speckled with humor. If you've read her previous novels, Conversations With The Fat Girl or Seeing Me Naked, then you'll know what I'm talking about. If you're in L.A., she'll be doing her official book reading and kickoff at Vroman's Bookstore in Pasadena on Friday, January 8, 2010 at 7 pm. The following week, on Monday, January 11 at 3:15 pm, she'll be speaking in the Student Union at Cal State L.A. to students about her novels, writing, and being a SoCali author. More great reading to add to your lists. One of my pet peeves is when words are misspelled or used incorrectly -- even when I do it or notice it in one of my projects. And so when I saw this blog from Oatmeal -- 10 Words You Need To Stop Misspelling -- I was like Amen to the Spelling Police! One of my biggest peeves -- when "apart" and "a part" are misused, or the misuse of "their," "there," and "they're." But that's small in comparison to the larger things going on in the world. Hope you get a kick out of the link!